The N8800SAS comes loaded with Intel® Core 2 Duo technology for breakthrough speed and performance. With the N8800SAS, business users can enjoy increased concurrent connections and lightning-quick system response. In business, having access to mission-critical data at all times is crucial. The N8800SAS is equipped with a dual Disk On Module (DOM) design to ensure flawless operation and maximum uptime. Enter a new generation of data performance with the N8800SAS. This eight bay wonder provides full Serial Attached SCSI (SAS) hard disk support for ultra-fast data throughput. Every business needs to be able to rely on their data. For these users, the N8800SAS and its multiple RAID modes make sure that data is protected at all times. To allow for integration in to virtually any corporate network, system administrators can choose among several file systems, including Ext3, XFS, and ZFS. 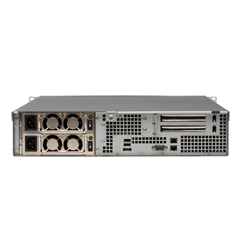 Also, the N8800SAS provides compatibility with iSCSI initiators for excellent data transfer speeds. Thecus® Technology is always pushing the boundaries of what people expect in NAS storage. 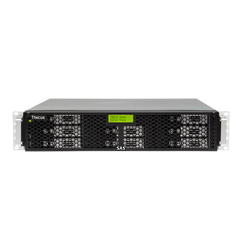 Constantly innovating, Thecus® has released a number of world firsts, and today, Thecus® is proud to announce another one: the N8800SAS – the world's first rackmount NAS to feature SAS hard disk support for blistering data performance. 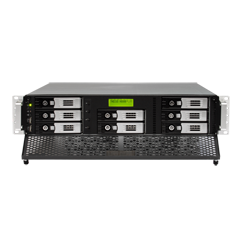 Engineered for businesses looking for a high performance yet cost-effective storage platform, the N8800SAS is a 2U rackmount NAS that features a bevy of cutting-edge technologies. 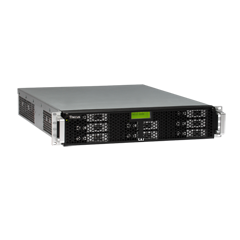 Headlining is its ability to accommodate up to eight SATA or SAS (Serial Attached SCSI) hard disks. 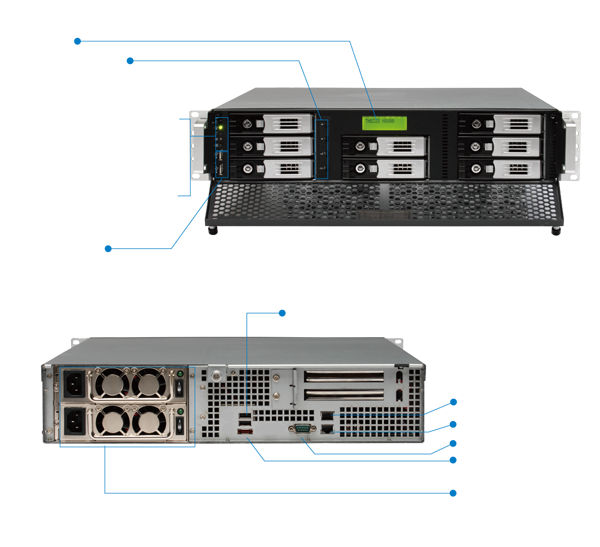 With the N8800SAS, enterprise users can enjoy the speed and reliability of SAS at a fraction of the cost of competing rackmount solutions. 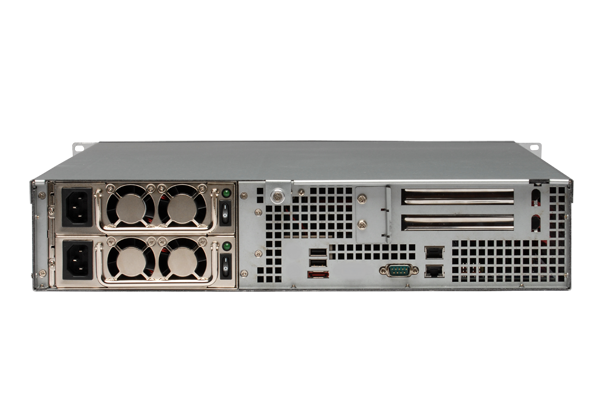 At its core, the N8800SAS features an Intel® Core 2 Duo processor and DDR2 memory for snappy system response and more concurrent connections. 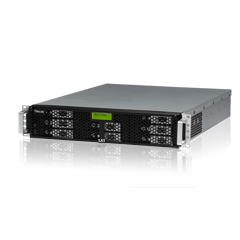 And for even more storage capacity, the N8800SAS is stackable with other N8800SAS units, allowing companies to easy expand their storage at any time. Of course, performance is just one side of the equation. In a corporate environment, reliability and uptime are paramount. 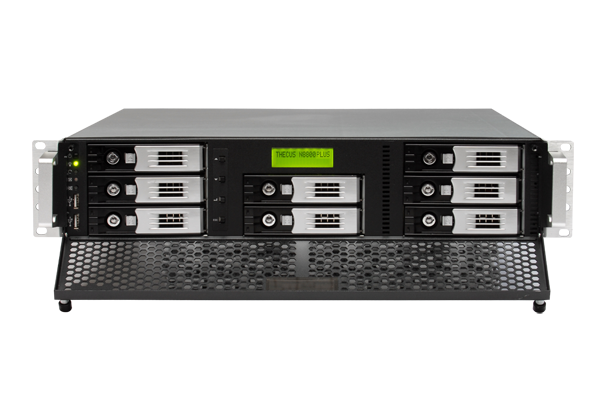 To keep data secure, the N8800SAS offers multiple RAID modes, including RAID 0, 1, 5, 6, 10 and JBOD, and even allows administrators to configure multiple RAID volumes on the same unit for added flexibility. 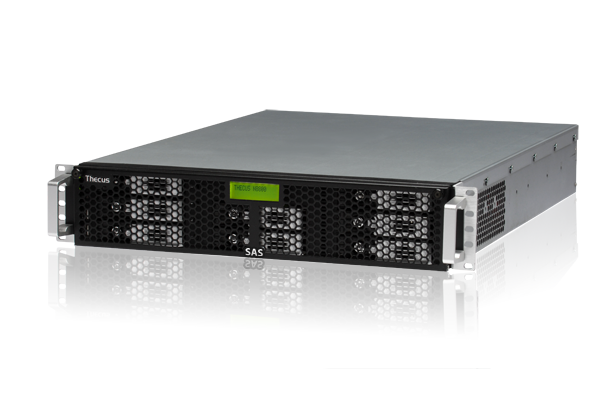 Should changes need to be made, the N8800SAS comes with online RAID migration and expansion, as well as auto-rebuild, hot-swap and hot spare for uninterrupted service. 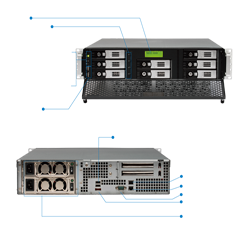 For maximum uptime, the N8800SAS comes with a unique Dual DOM design, a 450W redundant power supply, and dual Gigabit Ethernet ports with 802.3ad link aggregation, load balance, and failover. 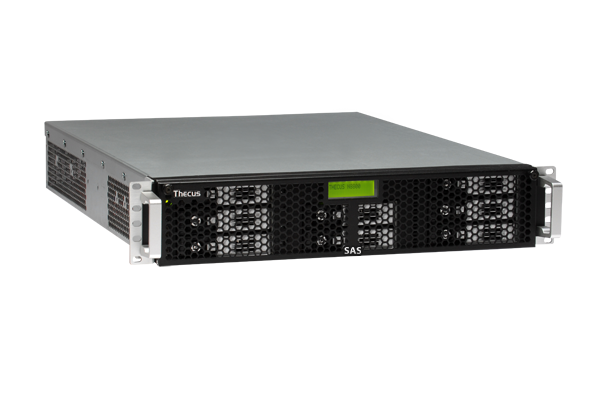 Data can be backed up via FarStone Drive Clone PRO 5.0 or Thecus® proprietary Nsync remote replication, and to ensure total data security, the N8800SAS even features AES 256 bit RAID volume encryption. Finally, the N8800SAS offers unrivalled flexibility. Multiple selectable file systems, including Ext3, XFS and ZFS, and compatibility with Windows, Mac OS, and Linux, make the N8800SAS easy to integrate into virtually any corporate network. What's more, the N8800SAS comes equipped with a multitude of useful features, including a media server, a download manager, web server functionality, CD/DVD ISO image sharing, and even can be used as an IP cam surveillance server. 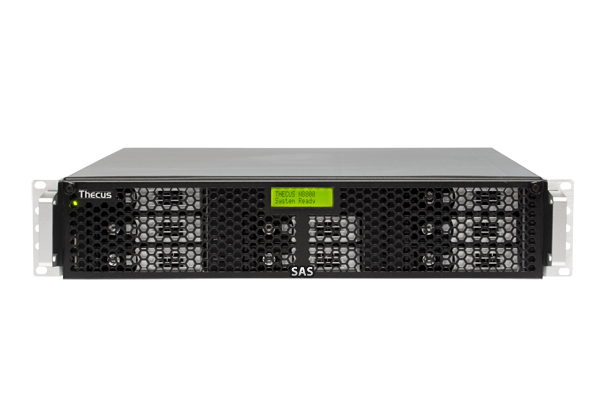 "With support for the latest SAS hard disk technology, the N8800SAS once again pushes the envelope for corporate NAS units," said Florence Shih, Thecus® Technology General Manager. "Brimming with cutting-edge features, blazing performance, and rock-solid reliability, the N8800SAS is ready for business."